Photo courtesy of Dr. Stuart Christhilf from The Engineering Contributions of Wendel Bollman, 1966. 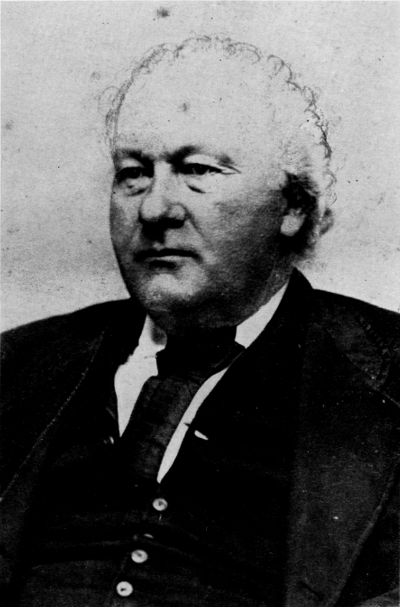 On January 21, 1814, Ann B. Bollman and Thomas Bollman welcomed the birth of their son Wendel Bollman. Thomas Bollman worked as a baker with a shop at the corner of Water Street and Public Alley (known as Grant Street today) and served in the militia during the Battle of Baltimore.Thomas Bollman died at age 44 on April 17, 1819 when Wendel was only 5 years old. When Wendel was a teenager, nearly 14 years after the Battle of Baltimore, he joined a group of local boys marching in a parade to celebrate the construction of the Baltimore & Ohio Railroad on July 4, 1828. Over the next few decades, thousands of people from Baltimore joined the railroad and Wendel Bollman among them. His career was more exceptional than most, however, as in 1848, he became the “Master of the Road” for the B&O. Bollman is remembered as an exceptional self-taught engineer whose innovative iron bridges the helped support the rapid growth of the railroad in the 1850s and 1860s.